As hiring manager, you know very well that the hiring process is difficult. Whether it is your job to hire new employees, or it was a task appointed to you as a manager, it’s not an easy thing. For one, it takes a lot of time to adequately hire a new employee. In fact, it takes on average 45 days to complete a new hire. That is a long time and a lot of hard work comes with that time as well. You have to search through countless amounts of resumes, contact qualified job seekers and start interviewing to find the best fit. On top of that, when you hire the traditional way collaboration can be a difficult thing to accomplish. Collaborating on a new hire can make the process much easier and can increase the chances of making a good hire. Unfortunately, collaborating on the hiring process when you interview the traditional way can be very difficult. When you do a phone screen, you are the only person judging the job seeker’s responses. When you have an in-person interview, it can be difficult to include other coworkers or managers for fear of confusing the job seeker. Thankfully, there is an easier answer to collaborating on a new hire: video interview. When you incorporate video interview into your hiring process, collaboration is much easier. Video interview technology is not entirely new, but it’s certainly gaining popularity among hiring managers and HR professionals. There are countless benefits that you gain from incorporating video interview into your hiring process, but increased collaboration is a big one. Especially if the position you are hiring for is expected to work closely with a team. A bad hire can cost your company thousands of dollars, and tons of wasted time as well. That is why collaborating with others is so important. You can gain insight into a candidate and get a better feel for what others think. Take a look at some of the ways you can increase collaboration in the hiring process with video interview technology. Traditionally, the screen process is kicked off by phone interviews. You call a candidate that seems qualified and ask them some questions to get a better feel for how they operate. This may be a fine way to screen candidates in the hiring process, but it’s difficult to incorporate collaboration with coworkers on a phone screen. Unless you have a conference call with another coworker and the job seekers, the only person that is gathering information on a candidate is you. When you tell another manager or coworker about the candidate, they are only gaining your perspective on the phone interview. They can tell you what they think, but their opinion is based off of the information you give them. On the other hand, when you use video interview technology such as one-way video interviews in the screening and hiring process, collaboration is seamless. With one-way video interviews, you ask your candidates a series of questions to which they answer in video format. When you receive their video answers you are free to playback and share them as you see fit. You can show a coworker their video responses and they can give you their input. With video interview, collaboration is easier than ever. Furthermore, when you use one-way video interviews you can easily collaborate on what questions you ask candidates. True, you can ask coworkers or team members what questions they would like a candidate to answer in a phone interview, but it can be easy to forget to ask them or push them aside. What team members expect from a new employee is important. With one-way video interviews, you create a series of questions and present them to each candidate. That way, when you play them back for your coworkers or other hiring managers they can listen to a candidate’s answer to their questions. Now your coworkers can have more of a say in who is hired- this is invaluable if teamwork is imperative of the new hire. After the phone interview, the qualified candidates are usually asked to come in for an in-person interview. If you had many qualified candidates, the hiring process can take even longer. When you incorporate video interview into the process, you have another means of screening candidates. After a phone interview and before an in-person interview, why not participate in an online video interview? You can get face-to-face with a candidate, ask them pertinent questions and gain more understanding of their qualifications. On top of that, you can record the live video interview and play it for your coworkers or other hiring managers. It’s true, you can have 2-5 people sit in on an interview with a candidate, but unless you have a tried and true system in place for interviewing this way, things can get messy and confusing. You can have two people asking a candidate questions at the same time, and it can turn into a confusing babble. Instead, you can have an online video interview with just the candidate and you, and others can review it afterwards. Collaboration is seamless and you can widdle candidates down to the best two or three. That way when candidates come into your office for an in-person interview, you know it will be worth your time and theirs. Collaboration on a hire can really make a world of difference. Of course, the hiring process will not always be a collaborative effort, but when you are hiring for a position that must work closely with a team it is essential. Start incorporating video interview into your hiring process and make your life- and the candidate’s- much easier. 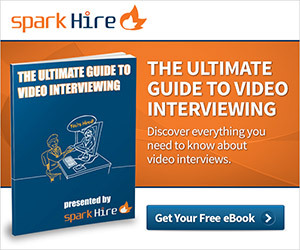 Has your experience with video interview made the hiring process easier? What other ways do you collaborate with other hiring managers or coworkers on a hire Let us know in the comments section below!